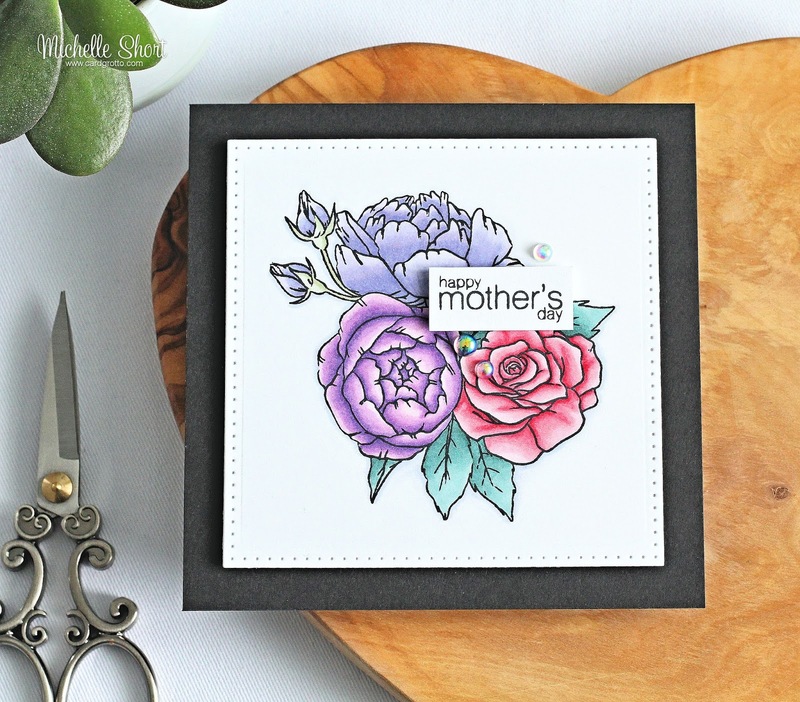 Hello there, today it is Mother's Day here in the UK and I am sharing the card that I have made for my mum. 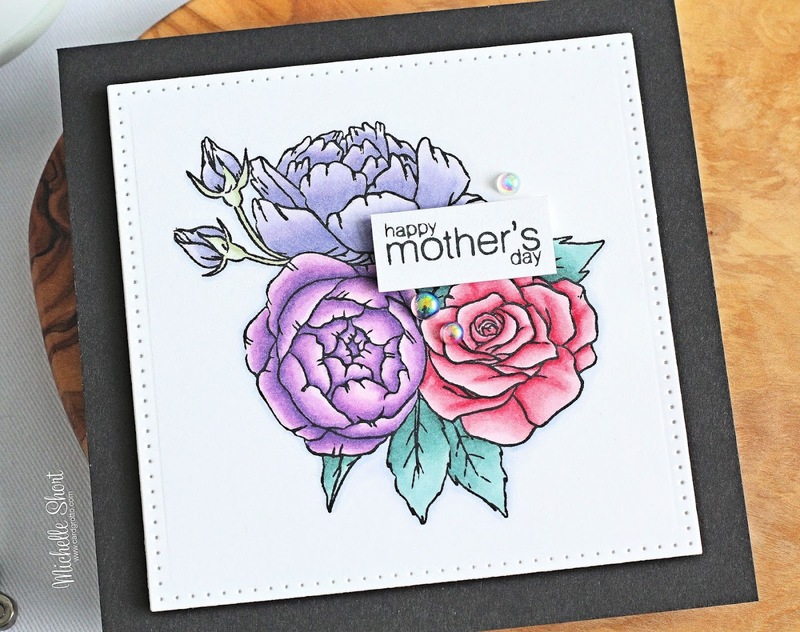 It uses the beautiful new Spring Bouquet stamp set from Studio Katia which they kindly sent me to have a play with. My mum loves flowers, so I thought it would be perfect for her. I started off by stamping the image on to a panel of white cardstock that I cut using a pierced square die. I then coloured the image using Copic Markers. 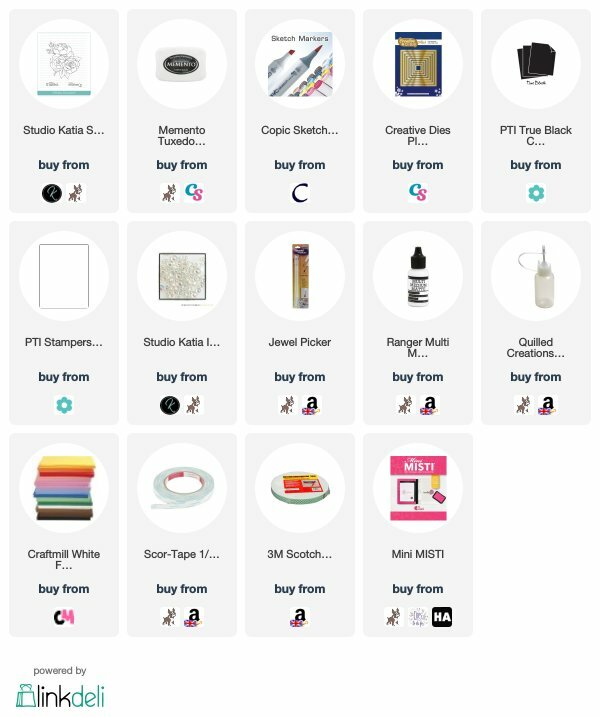 The colours I used are listed below the supplies section, if you are interested. Once coloured, I went around the outside of the flowers with a light blue colour to help them pop against the white background. The panel was adhered to a black 5.25" x 5.25" card base with foam sheet and DST. I then took the sentiment from the set and stamped this on to more white cardstock with black ink. It was cut out and added to the card with foam tape. To finish off, I added a few of the new Iridescent Bubbles from Studio Katia. These are so pretty! I love the sheen on them. COPIC MARKERS: Top flower - V25, BV13, BV11, BV01, BV0000. Stem for buds - BG93, BG90, G40. Right flower - R39, R85, R83, R81. Left flower - V17, V15, V12, V01, V000. Leaves - BG78, BG75, BG72. Shadow - B63, B60. Happy Mother's Day to all the UK and Irish mum's out there! Thank you so much for visiting me today, I hope you are having a wonderful weekend so far. That’s a beautiful floral design !